From time to time, we’ll share a special story about an African you are helping, as told by the person who took the photo. 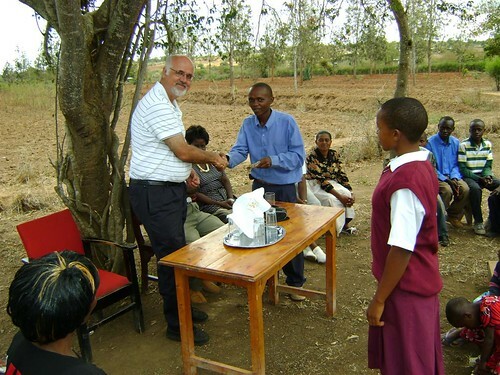 This story was told to us by Gerry Wolf, African Leadership’s Director of Projects, about his visit among the orphans Mocha Club is supporting in Kitui, Kenya. Aother group just returned from Kitui this month, so we’ll have more photos and video to share with you soon! 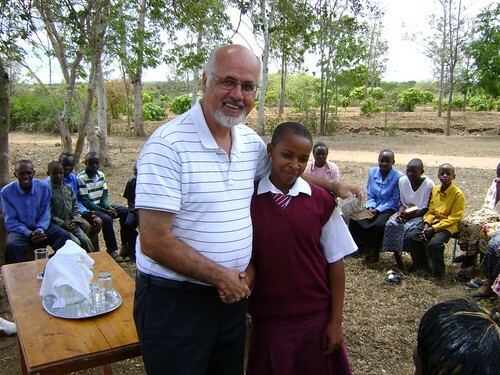 When Gerry Wolf [African Leadership’s Director of Projects] visited Kitui, Kenya in February, he spent time with the orphans Mocha Club serves, as well as the main leaders of the Orphan Care program there. These leaders and some others in the area formed a committee that screens the orphans and oversees the program to make sure things are delivered to the children. The committee is the liason between African Leadership/Mocha Club and the orphans’ caregivers. Due to the support he received through this Orphan Care program, Felix was able to graduate last year from teachers’ college and is working this year as a teacher. If you’ll look closely in the photo, Felix has money in his hand that he’s giving to Gerry. That student was Sindi, in the maroon dress. And 500 Kenyan Shillings equals about $7 U.S., the cost of 2 mochas. …And then he presented the money to Sindi. 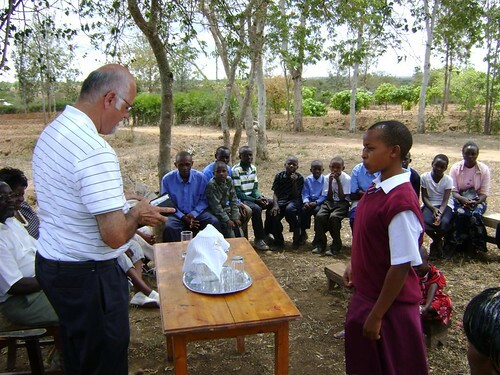 Sindi not only did the best among the orphans there in Kitui, but the best in her school! She is an inspiration that one can rise above difficult circumstances if presented with the opportunity. Thank you, Mocha Club, for helping provide that opportunity. #blogABLE Guest Blogger: Ellie Holcomb.